Previous PostPrevious 1142. 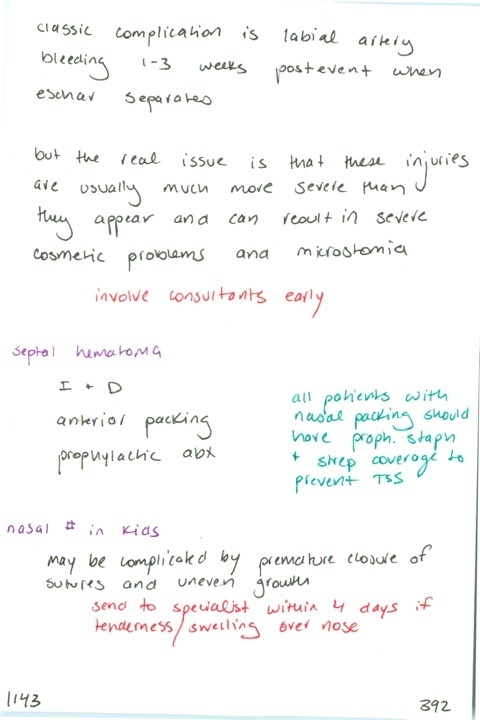 Injury to rule out if injury occurs near parotid gland // Three things to test before sending nasal injury home with followup // Management intervention in acute exsanguination from facial wound // Complication to rule out in shotgun injuries to face // Lip and mucosa should be closed with what type of suture? Next PostNext 1144. Management of subperichondral hematoma of the ear // Evaluation of the lacrimal apparatus // Antibiotics in facial bone fractures?